Why did I read this book: It was purely because of the blurb – I liked the sound of it, it appeared to be just the sort of book I tend to love. And I am so happy that I was totally right about this one. Lexi lives with her mother and baby sister in the village of Near. Ever since her father’s death a few years before, her life has been one of simple routine: helping her sister to bed and telling her stories learnt from her father; waking up to observe her subdued and sad mother baking the bread that feed the village and becoming the ghost of the woman she used to be when her father was alive; greeting her uncle on his daily visit as he oversees and protects the family; getting by, waiting to eventually marry a local boy and assume her place in the social hierarchy of Near, doing whatever is expected from a girl. The Near Witch is only a story for children. You must not listen to the lonely wind when it calls at night. But then one day, one of those truths proves to be no longer accurate when a stranger appears and then…stays. On that same night, children start disappearing from their bed and the villagers suspect the stranger. But Lexi wonders…she wonders about the stranger and what made him stay; she wonders why are the villagers so ready to accuse and judge but most of all, she wonders about those simple truths and if one is not set in stone, what about the others? I was captivated by The Near Witch from beginning to ending and loved just about everything about it. The writing, the setting, the story and the characters, all come together in what is both a familiar and original story. The familiarity comes from the timeless feel of this story, from never knowing when it is set, or where Near is located like any fairytale about missing children that could be set at any time, any place. In this sense, the writing reminds me a lot of books by some of my favourite writers: Neil Gaiman (especially Stardust), Franny Billingsley and Clare B. Dunkle. What all those books and The Near Witch have in common is that this sense of familiarity is only superficial and each author instills their stories with their own brand of awesome. I believe Victoria Schwab manages this with success by being familiar enough to make the reader comfortable but also imprinting the story with great, thought-provoking themes. Starting with where the novel is set. Near is its own place, separate and apart from anything else. Its boundaries are set in stone, few ever leave, few ever even visit the moors just outside and strangers never show up. It is an insulated world which predictably reacts badly to change, to strangers or to anything that doesn’t conform. This would include for example not only those two sisters, thought to be witches, who live just in the outskirts of Near, barely being accepted within the boundaries of town; but also Lexi herself, who is threatened with banishment as the story progresses and her assertiveness increases. From the start is clear that Lexi is not well-adjusted to the roles that are expected from her. For better or worse, her father, who used to be the village’s Tracker, taught her how to track and how to listen to their environment, to the moors, to the wind. She loves to track, she wishes she could be doing that all the time. Lexi is more at ease chopping wood than baking, wearing her father’s old boots than her slippers and with his knife strapped to her waist. Mind you, one of the greatest perils of writing a female character who clashes and struggles against social expectations based on her gender is that she might turn out to be an Excepto-girl i.e. the only girl to ever wonder about these things thereby making her the Special Only One. Although this is certainly something to be considered in this story because it is set within such a confined environment, I believe the author just about managed to avoid this trap with the help of other female characters supporting Lexi. There is also interesting gender bending as Cole, the stranger, is the prosecuted witch and Lexi is the one doing all the saving which only reaffirms her beliefs that her place in society should not be determined by her gender. Another interesting theme comes from the combination of the aforementioned isolation of Near and the changes that Lexi undergoes as an individual. The later is prompted by the arrival of the stranger and the realisation that truths are not set in stone which in turn prompt her to re-evaluate everything else in her life, not only all that she thought was true about her mother being an apathetic ghost; her uncle being an usurper but also about Near itself. The more the story progresses, the more Lexi realises that her mother, her uncle and just about everybody else is a nuanced, complicated person. She also comes to understand the nature of change, how hard it is for the people of Near to accept new people, different people but also how needed it is. I find it really interesting that although it has crossed Lexi’s mind to simply leave Near behind, this is not the solution for her. She doesn’t want to leave her town, her friends and family behind. She wants the change to be possible in Near itself, as hard and complicated as it seems. I could go on about how vivid it all is, about how the descriptions of the moors give it such a sense of location even though you have no idea where the story is set, about how the story is tense, gripping, sometimes scary but also full of wonderful, warm relationships. There was in fact, very little of The Near Witch that didn’t work for me. I was slightly uncomfortable with the fact that Lexi’s one suitor within Near turned out to be such a creep because I would have loved to just see Lexi not picking him because she simply didn’t want to as there was never any real choice there as to pick him would be so unthinkable. And then there was the relationship between her and Cole, the stranger. Although I liked how sweet their relationship was and the fierce protectiveness that Lexi felt for him, I was slightly put off by the fact that it developed way too fast in only a matter of days. But that is definitely personal preference. 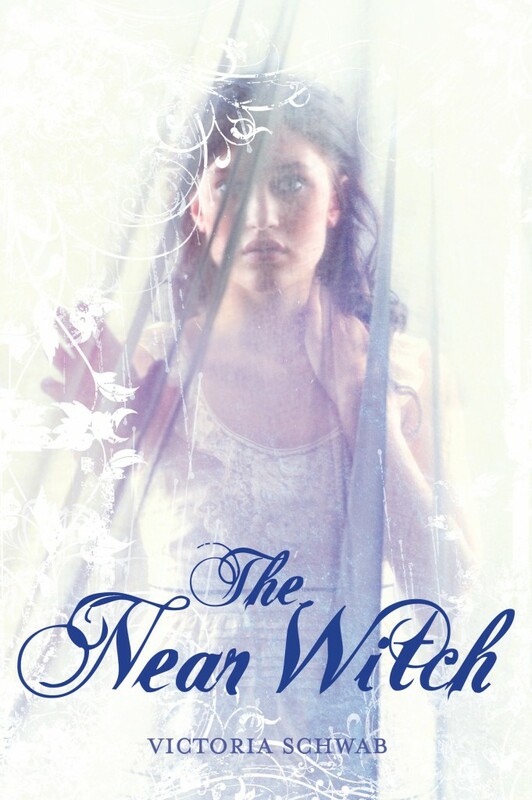 Still, even with these (minor) misgivings, The Near Witch is one of the best Paranormal YA novels I read this year and as of now, a notable read of 2011. Highly recommended. The thing about bad news is this. All bad news might spread like fire, and when it takes you by surprise it’s sharp and hot, gobbling everything up so fast you never have a chance. When you’re waiting for it, it’s even worse. It’s the smoke, filling the room so slow you can watch it steal the air from you. In the morning. Words I cling to, waiting for dawn to come. I blink and time passes in strange, awkward jumps, but the sun won’t seem to rise. I find myself watching as the dregs of moonlight make circles in the ceiling. I stare up at them, up past them, waiting for the night to pass, trying to make sense of everything, unable to hold on to anything as my mind slips in and out. My eyes flick to the window. Someone was not as lucky. Ooh, you’ve got me intrigued now. I’ve seen a few banner ads around the blogosphere for Near Witch, but you’re the first to paint such a vivid picture of how awesome it sounds. Definitely adding it to my TBR pile. Thanks for the review! I was glad to read your review. This is on my wish list. I’m looking forward to this book. I almost want to read this purely off the fact that it is a Lexi. There are not enough Lexi characters out there. I’m glad it otherwise sounds like a good book.